In this video, Jackie Chan and actress Olivia Munn answer questions on Martial Arts from Twitters users. 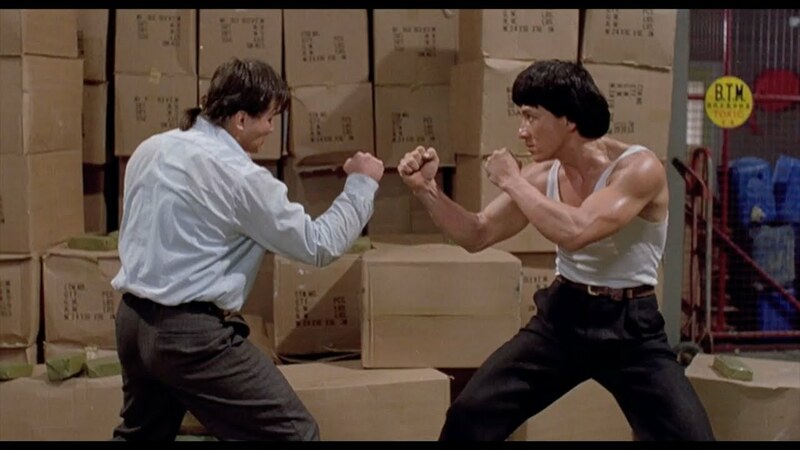 They answered questions like, how karate people break through cement and wood with their hands, why Jackie Chan like doing martial arts with rugs, to name a few. From WIRED: "The LEGO Ninjago Movie stars Jackie Chan and Olivia Munn use the power of Twitter to answer some common martial arts questions. Jackie also teaches Olivia how to karate chop some pieces of wood and defend herself from knife attacks." The Lego Ninjago Movie is a 2017 3D computer-animated action comedy martial arts film produced by Warner Animation Group and directed by Charlie Bean. Six teenagers living in the far-away land of Ninjago find themselves "hired" and trained by an old ninja master named Wu, to become ninjas who protect the capital city at night from monsters sent by Lord Garmadon, a warlord seeking to conquer Ninjago, while using a variety of vehicles and dragons to aid them. Meanwhile, Lloyd Garmadon, the group's Green Ninja and leader, begins asking his mother questions about his father, and soon finds himself struggling to accept the truth that Lord Garmadon is his father, as a new threat soon emerges to endanger Ninjago, Meowthra.